Need a tested, reliable method that works? 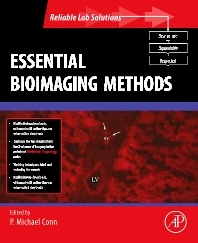 Put Essential Bioimaging Methods to work for you. Editor Michael Conn has hand-picked the most robust methods from his previously-published volumes in the Methods in Enzymology series. Many of these methods have been briefly updated by the authors that created them and use them in their research, and this book further refines and organizes existing content and focuses on methods that work, including MRI, fMRI, PET, Microscopic optical imaging and other. Part of the Reliable Lab Solution series, this volume provides clear advice and explicit protocols, providing updates to classic, tried-and-true methods and an essential addition to the bookshelf or workbench of any researcher in the field.